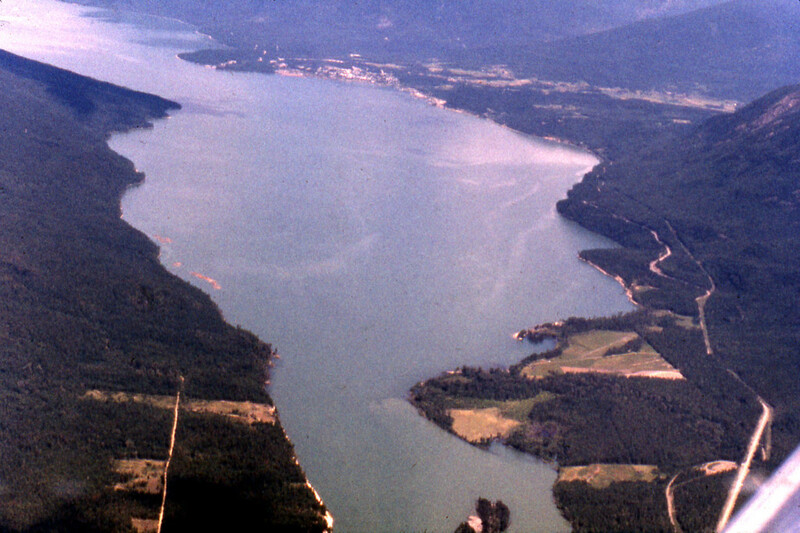 Hugh Keenleyside Dam, completed in 1968, created Arrow Lakes Reservoir. View changes to the landscape. Move left and right between the pre-dam image (1962) on the left, and the post-dam image (2009) on the right. 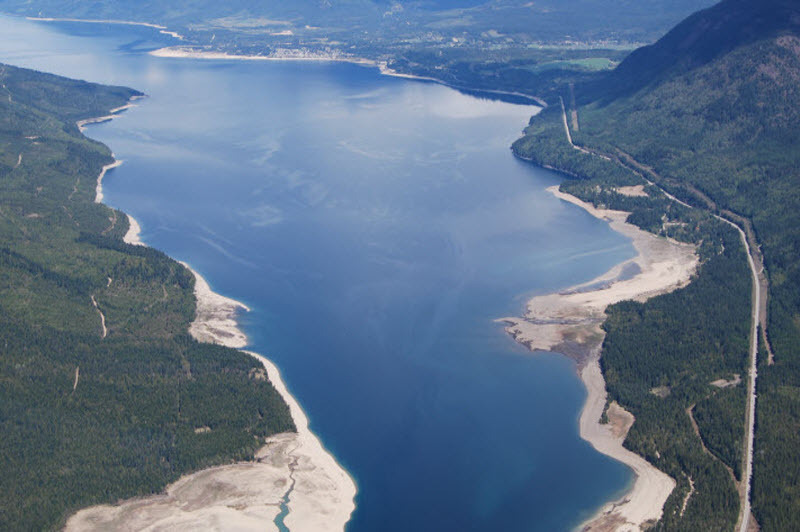 Drag or swipe the divider between the pre-dam image on the left, and the post-dam image on the right.